Get back to nature in the comfortable and verdant environment of a modern resort situated by the peaceful waters of the Evian Gulf, within 13 beautifully planted hectares of greenery. 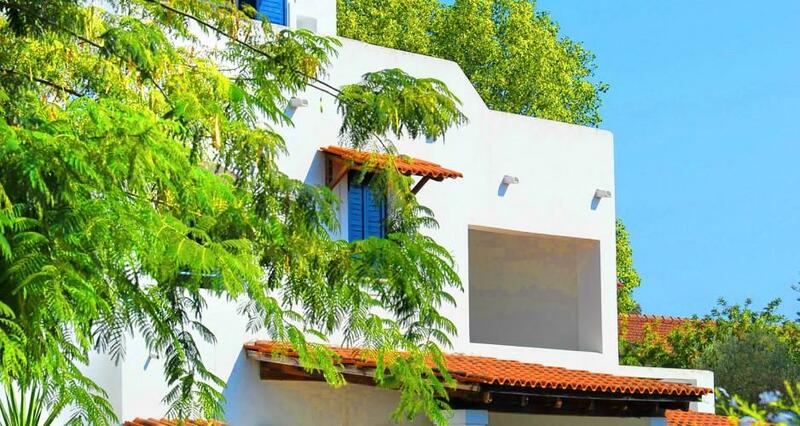 The Eretria village 4**** accommodation facilities offers in total 205 rooms providing a variety of double, triple, connecting rooms, family rooms (with two bedrooms) and suites on standard of 3*, that can host additional guests with an extra bed. 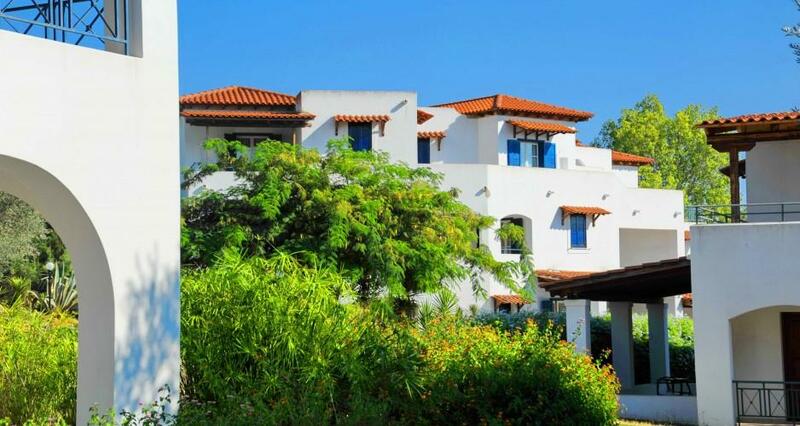 All rooms have a central temperature control system, air-condition operating 18 hours daily during summer months, TV set with local and international channels, a telephone line, a mini fridge, hairdryer, as well as radio or piped music, bathroom with bathtub. 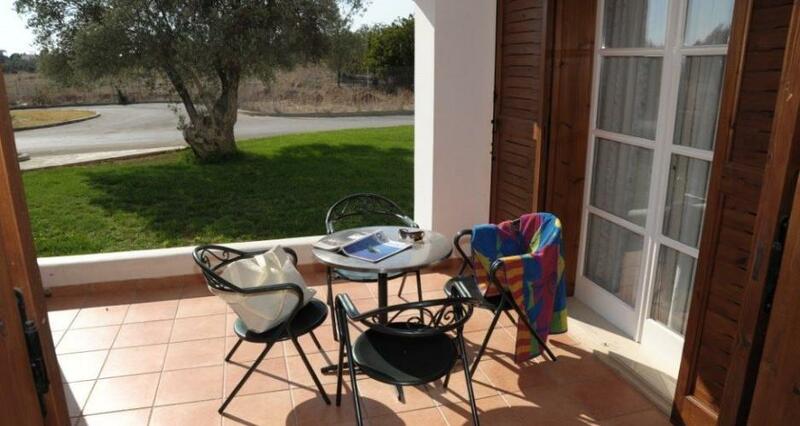 All the rooms provide a large balcony or terrace with view of the mountains, the gardens, or the swimming pool. 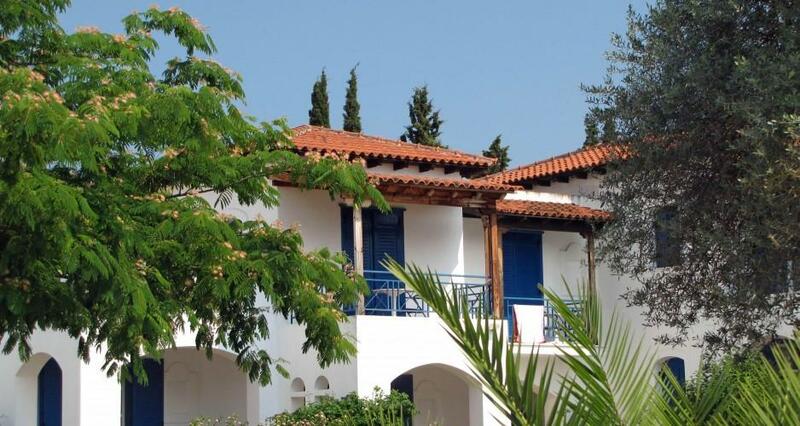 The Eretria Village hotel is constructed with most of the rooms on ground or first floor to resemble a traditional Greek village. 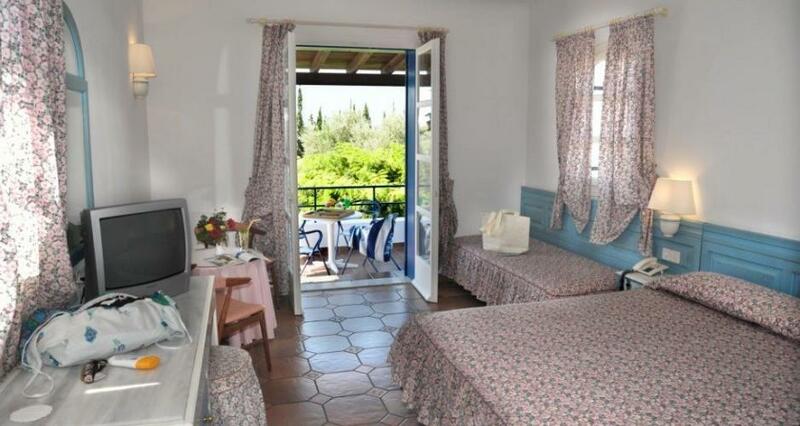 Each group of two or three rooms have a private entrance or staircase. The Hotel can allocate accommodation in ground floor or first floor if previously mentioned directly to the hotel or to your travel agent. 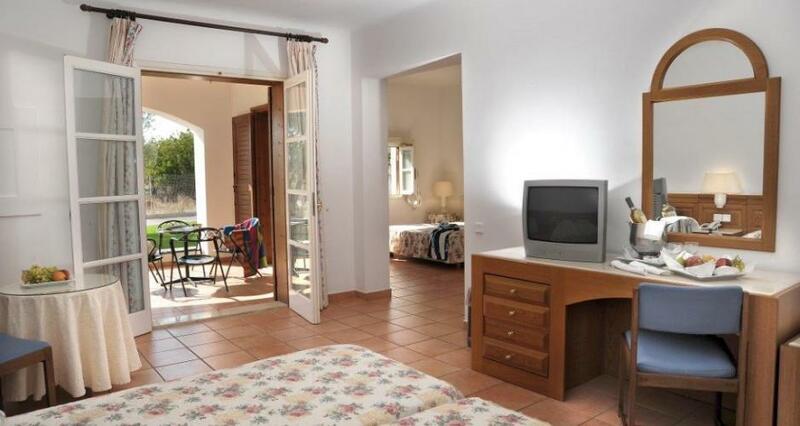 Rooms equipped with equipment necessary for people with partial disability are also available. 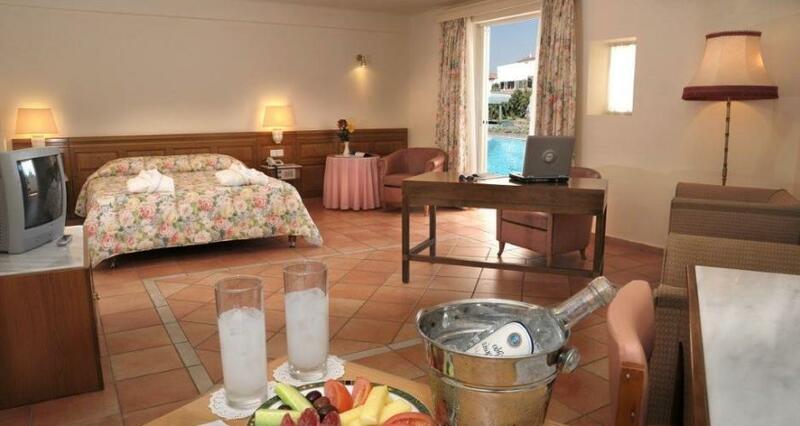 For honeymooners we offer a double-bedded room, bottle of wine and fruit basket free of charge. 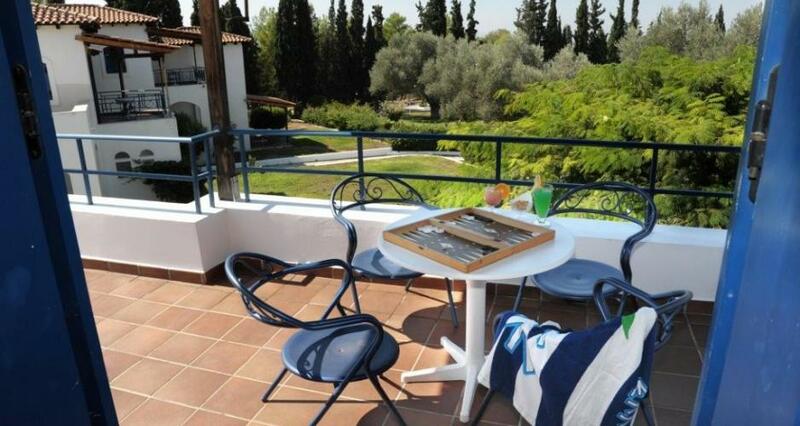 A private dinner on your room balcony can be also organized if pre-booked. In room ViP treatment packages are available upon request.